Sam Bennett will turn 18 one week before the 2014 NHL entry draft. His belated birthday present to himself will be hearing his name called early in the draft, most likely within the top five picks. Bennett told me is 6’1″ and 180 pounds, and that he plans to add between 5-10 pounds this summer before he heads to an NHL camp. I spoke with Bennett yesterday and we discussed his feisty, two-way game, Aaron Ekblad and why he feels more comfortable playing centre rather than on the wing. Bennett is very determined to be an NHL player, and whichever team drafts him, they will be getting an extremely competitive player. Gregor: How would you describe your game? create some offense and put the puck in the net. NHLer some suggest Jonathan Toews. Do you see a comparison at all? whole life and I’m going to continue to do it. you find that they try to goad you into things? settle down and do what’s best for my team. likely going to cross that line. really fine line between playing with an edge and crossing the line. at the end May and get ready for next season. you’re still finishing up High School? Gregor: You got any classes you enjoy in High School? For most hockey players that’s their favourite class. Gregor: Do you have a tutor in Kingston? guy that’s a leader naturally? of a leader as I can. we’ve played it’s been pretty frisky that’s for sure. that’s definitely when I’m playing my best. that will make you better on the ice? I’ll definitely have to be prepared for anything. hockey all of the time, what are some of your hobbies? away from it for a while. Gregor: What’s the biggest fish you ever caught? Bennett: Ah… probably 10 pounds. Bennett: I’m not ot a pro fisher. 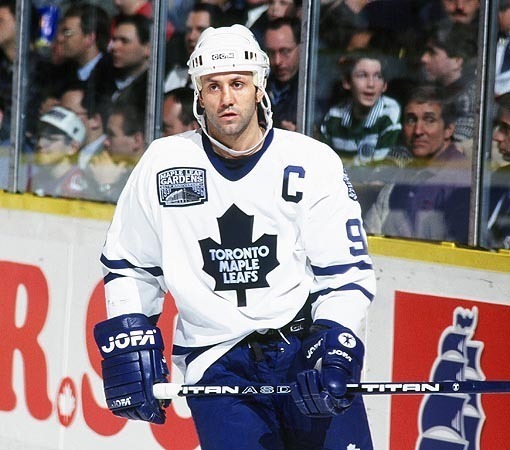 a head coach, what made him good? give good advice and he was a great coach for us. definitely part of the game that I’ve always been working on. more of a play maker, but I’m also not afraid to shoot the puck as well. Gregor: What was it that didn’t work out? to figure out what worked best for our team. this guy, I think that this team might take this guy and they might take me? it goes through your head a little bit. Gregor: Did you ever see yourself being taken by the Edmonton Oilers? scouting report, what’s the best part of Ekblad’s game? end up in the back of the net for sure. between centre and wing this year? generate more speed up the middle. Bennett is an offensive player who takes pride in his defensive play, which is rare for most 17 year olds. Everyone loves his competitiveness and drive. He wants the puck and he isn’t afraid to go into the tough areas with it. I love the fact that he has skill, but also plays with some passion, and admits that at times his fire gets the best of him. He’ll work on it, but I’d rather have a player you need to calm down than one you need to constantly prod to get inspired. A concern doesn’t mean it is a red flag. Every player has some concerns about their game, but most scouts feel Bennett’s internal fire and drive will make him a successful NHL player. 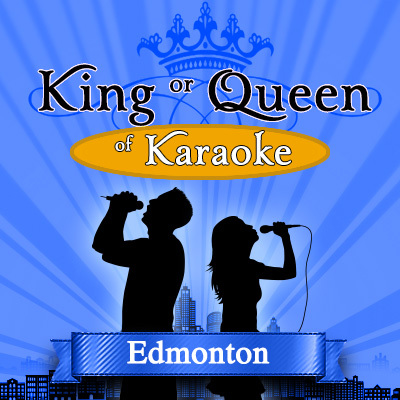 Our 2nd annual King/Queen of Karaoke goes on Friday May 23rd. If you think you can sing, or know someone who can get them to email a short 30 second-1 minute video audition tape to gregor@tsn1260.ca before May 15th. We will pick the top-12 videos, and they along with a few guest celebrity Karaokiers will battle it out on May 23rd. This year’s winner will win $1,000. Last year was a great night and the performances were top notch, and the odd one was a tad off key, Struds, but it was a great night. Rocks and Oodle Noodle. So you make money by supporting the cause. You can buy your tickets here. I don’t know if this has been mentioned as I did not read through the entire comments section, but Bennett reminds me a lot of Brendan Gallagher but bigger with a little more offense. I compare them due to their style of play. Both big scorers, not big fighters but like to be a pain to play against. I would have no problem with the Oilers drafting Bennett (or acquiring Gallagher in some miracle of a trade). I too am totally onboard with either of Bennett or Ekblad if one is still there at pick 3. My question I’ve been pondering for a while is what should we be considering if the choices at 3 are Reinhart and Draisaitl? Is Reinhart the clear BPA at that point and if so can we afford to ignore this? What’s easier to get? Small, skilled center that “tries hard” or big skilled center? The Oilers have a small, skilled center that “tries hard” right now that they may end up basically giving away in Gagner to get him off the team. How many big, skilled centers are either traded or move around the league? Not many. I can think of Carter but I don’t even think he plays center in LA and Jordan Staal was traded to Carolina. That’s all I can think of in the last 5 years. Staal makes 6 mill and is WAY overpriced for what he produces. The majority of the big, skilled centers are drafted and stay on their team for a long, long time. If the Oilers have a chance to draft a big, skilled center, I think they HAVE to take him. Even if on paper right now, the scouts say Bennett or Reinhart is “better” they’d be crazy to pass on him. 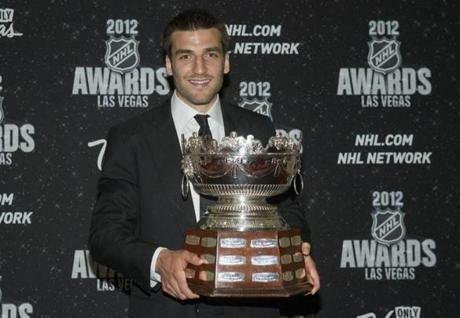 It was one year ago, we had a very similar 4 horse race (Jones,MacKinnon,Barkov,Druoin) heading to the entry draft. This year has much the same look going into it. Jones was a lock to go to Colorado with his prior history there. Many have gone out of their way to claim, there are no Crosbys in this years draft (no wonder I can’t find any Crystal Balls on Ebay, you guys have purchased them already). There may not be another Crosby, but maybe there’s another Nathan MacKinnon. Keep, and make the pick. And do all you can to get that 5th selection if Draisaitl is still available. Bennett is only 17……….I gained most of my weight after 17. This guy has fire in his belly and we need to draft him. Forget Drisiatle, or Sam Reinhart as we already have these types of players. Ekblad will not make it to number three so we take Sam and then trade the other Sam. Thats the plan everyone Okay? Please tell me who we already have that is even remotely close to the type of player that Draisaitl is or could be? Please tell me who we already have that is even remotely close to the same compete level that Bennett has? Err on the side of caution and get both. Burke wants truculence. Not a lot of that in Draisaitl. I see Leon falling to five, a pick that might be available from the Islanders/Sabres. Burke will take either of Virtanen,Dal Colle or Ritchie. They’re more the grit Calgary’s looking for. There’s some separation from that 1/2/3 group, and the rest of this crop. Did Burke email you personally to tell you what they’re going to do? Or are you flying by the seat of your pants just guessing again? No Burke did not email me, but you seem to know what he wants at 4, Virtanen? , seriously give me a break, he has fallen so out of top five to even consider that is ridiculous. I guess you’re the only one qualified to predict the future here. You certainly didn’t get what you wanted for your 14th birthday party it appears. Drafts are tricky things…..we are not smarter than the other guys…so other teams probably covet what we covet….it may not be likely probability wise….but it’s not out of the question that the bigger guys Ekblad and Draisaitl go one two. But as many people have pointed out….the Oilers are going to get something they need no matter which order they go in. There must be a dozen teams watching with interest to whats going on with the kids here in Edmonton. Some of those teams I’m sure would love to get their hands on atleast one of these kids, and see what is capable after working with some of their mentors/influence. Career paths would change considerably I have to think. Hearing that MacT is feeling teams for a star Dman i a trade for the #3 pick and maybe a good prospect. 1.) The Edmonton Oilers are trading their 1st round pick. The pick will be traded on the Draft floor. 1.) M. St Louis demanded a trade from Tampa Bay for the same reason that T. Hall was left from Team Canada Olympic team-S Crosby has more pull than some executives on the board: Kunitz.